Depending on your perspective, “salad cakes” – a recent food craze in Japan – are either making salads awesome or completely ruining cakes. Either way, the bizarre food mashup is a unique concoction that brings together two foods from opposite ends of both the heath spectrum and the timeline of your typical meal. 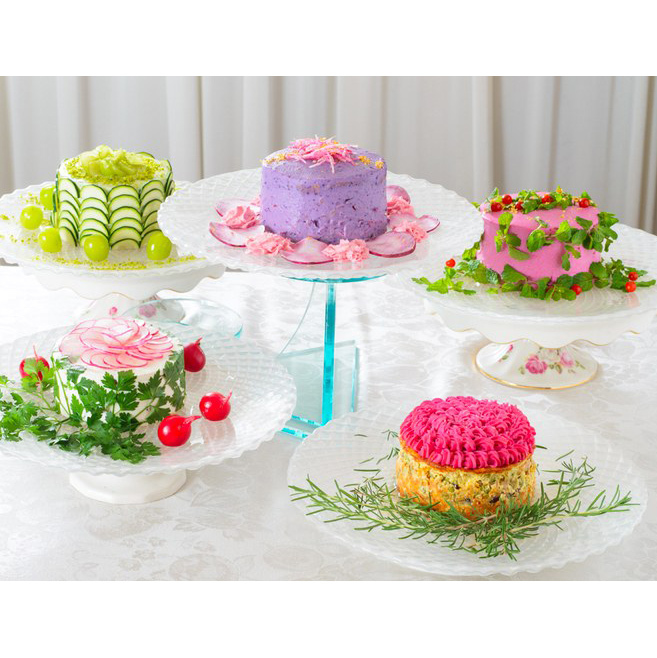 Created by food stylist and designer Misuki Moriyasu, salad cakes can best be described as the ingredients of a salad repurposed to look like a cake. Though clearly visually stunning, the taste sounds a bit more questionable. According to the Telegraph, the savory dish disguised as a dessert is made by blending whole vegetables with soybean flour to create a spongy-textured base for the fake baked goods. Icing is then created by mixing vegetables with either cream cheese or tofu. Unlike most cakes, little if any sugar is added and the final product is also gluten-free, meaning these cakes probably won’t be a hit at your five-year-old’s birthday party. But for hip foodies, salad cakes have become so popular that Moriyasu has spun off the products, which she originally made for another restaurant, into their own café called Vegedeco, located in Nagoya, Japan. One question: Do we still get to pick our own dressing?